If you’re among those that did this year’s NECO Exam, then I’m here to tell you, if you don’t already know, that the results are out. 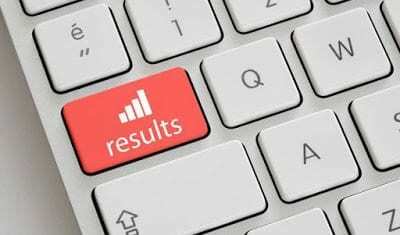 So in this guide, we will be showing you the easiest way to check your 2018 NECO Results Online. Obviously, you’ll be needing an internet enabled device like a smartphone, tablet or a PC. If you don’t have any of these, you can simply walk into a cyber cafe around you to use their internet-enabled computer. Before we Begin, there are some requirements we will need for this procedure. You’ll find those requirements below. Of Course, An internet Enabled Device. Once you have all the prerequisites listed above, then you’re already half-way through. All you have to do now is to simply follow the outlined steps below. Select your Examination Type and Examination Year. If you’re checking for this year, Select 2018. If not, choose a corresponding year. Input your Card PIN Number as well as your Examination Number. Cross-check the details provided once more to make sure it is accurate. If it is, then click on Check My Result. Wait for the Next Page to load, Once it loads, your result will be shown on Screen. You can decide to write down the results on a piece of paper, or if you need the results printed, there is an option to do that. Simply Click on the Print Icon but first, make sure the device you’re using is connected to a printer. After Clicking on the Print Icon, Select a Printer and wait for it to be printed. That’s pretty much the easiest way to check your 2018 Neco results online. If you still us to clarify any other things related to this, don’t hesitate to ask us through the comment section down below.